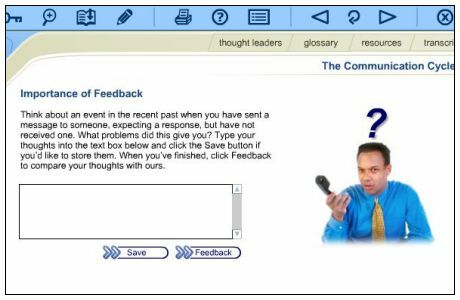 This course covers the different forms and styles of giving and receiving feedback. Would you like to be able to give and take feedback constructively? can be communicated, and understand how and when feedback should be used. The course will show you the different forms and styles of giving and receiving feedback. tips and techniques to help you give and receive feedback positively and effectively. Look up unfamiliar business terms in the glossary and an alphabetical list of business "thought leaders"
A learndirect certificate will be emailed to you upon successful completion of this course .